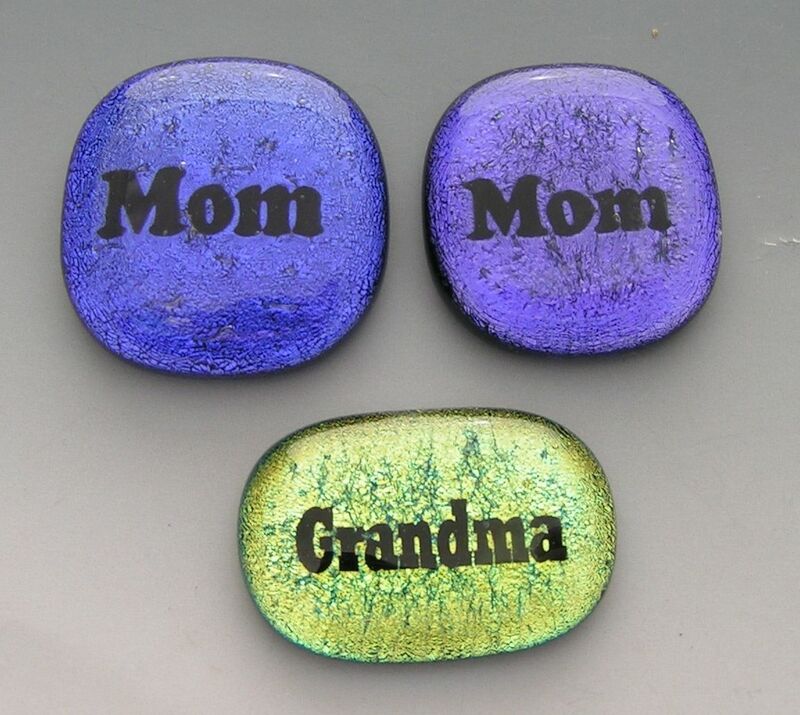 Dichroic glass "Mom" and "Grandma" pendants made for a CustomMade client in various colors. A great gift for all the specials moms and grandparents in your life! this was a great experience. i can't say enough about how awsome and quick and inexpensive the process was. i cant wait to give the necklaces to my wife and the other one to my mother. awsome awsome job!